Camp over for 2013 . What a wonderful week for all 28 participants . 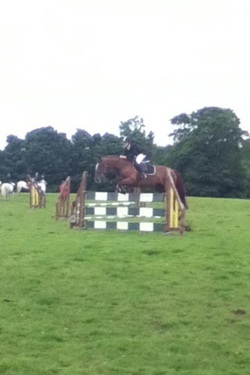 Pony care , stable management , jumping skills , cross country , dressage , eventing and hacks among the activities enjoyed by all . With 4 instructors catering for 3 levels of rider the improvement in the standard of riding was evident by weeks end and the show on Saturday which comprised of a team and individual event was outstanding . Parent volunteers again ensured the success of the residential camp . This years camp was another very successful one once again.Good fun was to be had by all the members and their ponies.They were long days but fun days which started with an early rise to feed and muck out,was followed by a lot of riding.In the evenings there were activities such as rounders,football,hockey,treasure hunt,a quiz and a trip to the swimming pool. The branch annual summer camp is a long standing tradition of The Pony Club and for many members, Pony Club Camp is one of their favourite parts of Pony Club. 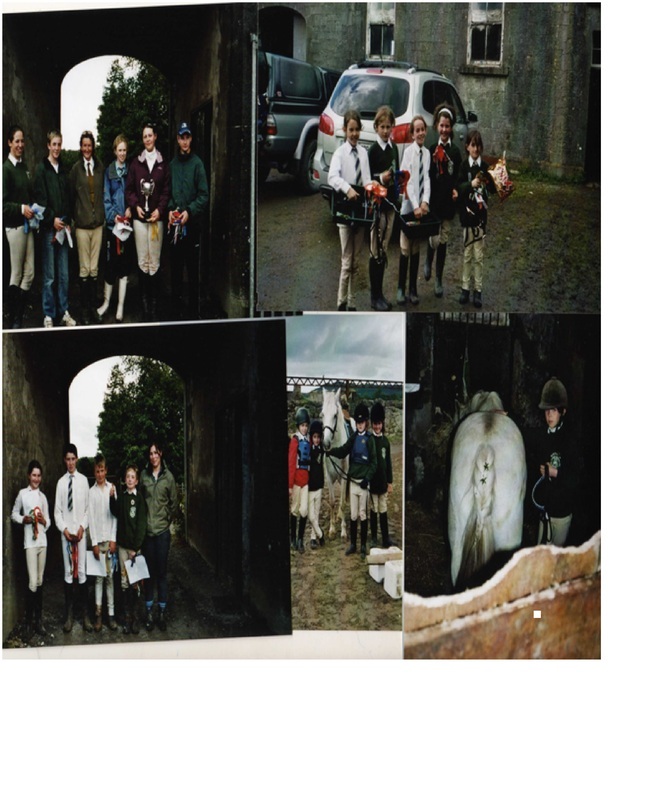 For many years the O'Hara family of Annaghmore have allowed our Pony Club to hold their pony camp there each summer. This is a tradition that we hope will continue into the future. Pony camp is a great way to develop your riding skills, improve your stable management and prepare for some of the pony club tests. You might get the chance to swap ponies, play games or take part in a competition. All riders help with any jobs that need doing, from keeping the muck heap tidy, to washing up plates after lunch. Without full parental involvement, Pony Camp cannot happen. Parents are needed to help prepare, feed the children and instructors, organize evening events, cook the barbecue and supervise 24/7. Despite all the hard work it proves to be a tremendously enjoyable experience for members, parents and ponies alike.